The Shiv Sena, which is a partner of the BJP both in the Maharashtra and the Central governments, has been increasingly adversarial, attacking the BJP almost daily and the booklet is seen as a signal to party cadres that elections in 2019 - both assembly and national - will be fought as rivals. 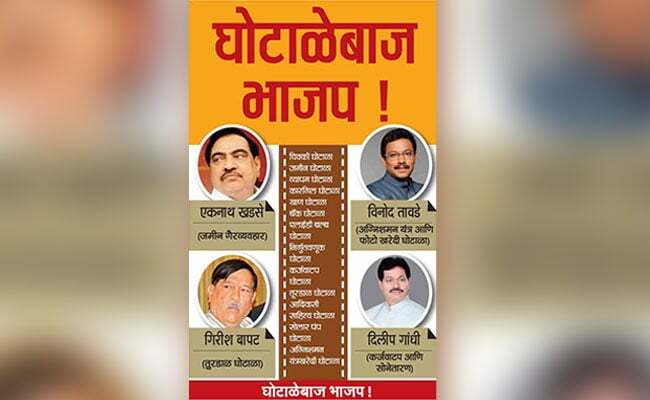 The Shiv Sena, the BJP's cantankerous partner now accused of playing a double role by Maharashtra Chief Minister Devendra Fadnavis, has made a classic opposition move, distributing a booklet to its party workers titled "Scamster BJP". Sena chief Uddhav Thackeray presided over the distribution at his Mumbai home, Matoshree, on Wednesday. The Sena publication lists BJP leaders who face corruption charges, including former minister and senior BJP leader Eknath Khadse, who is accused in a land grab case, Education Minister Vinod Tawde who faces the charge of irregularities in procurement of fire tenders for schools and Food and Civil Supplies Minister Girish Mahajan, accused of corruption in the procurement of tur dal. 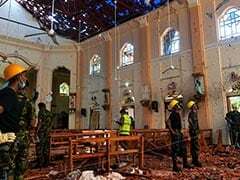 7 other ministers - Vishnu Savara, Pravin Darekar, Jaykumar Rawal, Chandrashekhar Bawankule, Rajit Patil and Sambhaji Patil Nilangekar - have also been featured, with details of allegations against them. 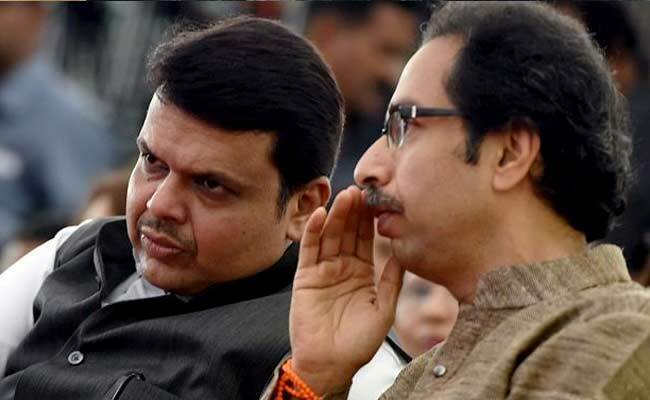 The Shiv Sena has alleged in the booklet that companies blacklisted by the Shiv Sena-controlled Brihanmumbai Municipal Corporation or BMC in Mumbai have been given contracts in Mumbai and Nagpur, where the BJP now controls civic bodies. It has listed what it has called "national-level scams" during the BJP's earlier term at the Centre like the Coffins scam and also allegations that leaders from other states like BS Yeddyurappa have faced. The Sena, which is a partner of the BJP both in the Maharashtra and the Central governments, has been increasingly adversarial, attacking the BJP almost daily and the booklet is seen as a signal to party cadres that elections in 2019 - both assembly and national - will be fought as rivals. The two parties contested the BMC elections earlier this year separately in a bitter, no holds barred contest. Last week, Chief Minister Devendra Fadnavis told the Shiv Sena that it "cannot simultaneously play the roles of a ruling party and an opposition at the same time." Uddhav Thackeray, he said, "has to decide," seen as an ultimatum to the ally. Uddhav Thackeray, Devendra Fadnavis said, "has to decide," seen as an ultimatum to the ally. "Take it or leave it," was the Shiv Sena's riposte in an article in its magazine which said that if the Shiv Sena is seen as a difficult partner, then the BJP-led Fadnavis government is free to move on. Sanjay Raut, the Sena lawmaker chosen to deliver most of the party's snubs to the ally, called the BJP his party's "principal enemy".